Sciatic Pain | Dr Joe McSweyn L.Ac. O.M.D. 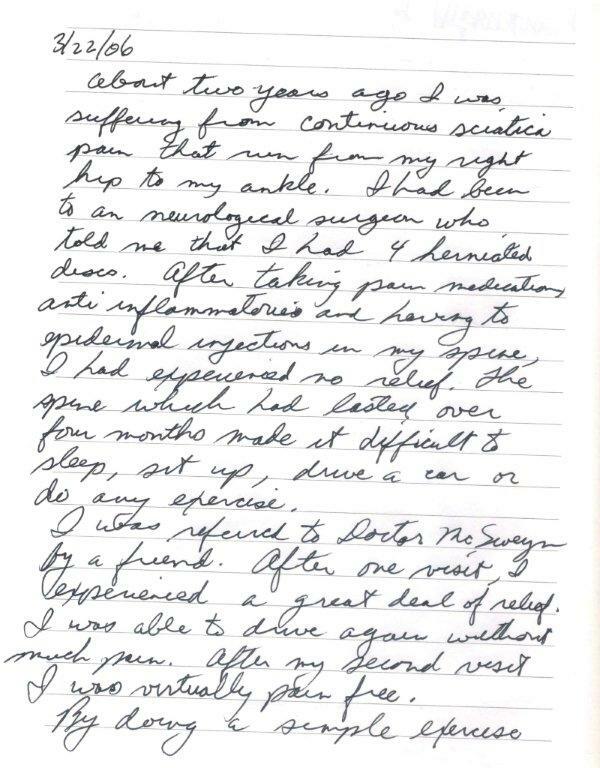 About two years ago I was suffering from continuous sciatic pain that ran from my right hip to my ankle. I had been to a neurological surgeon who told me that I had four herniated discs. In the after taking pain medications, antiinflammatories and having two epidermal injections in my spine, I had experienced no relief. The pain which had lasted over four months made it difficult to sleep, sit up, drive a car or do any exercise. I was referred to Dr. McSweyn by a friend. After one visit, I experienced a great deal of relief. I was able to drive again without much pain. After my second visit I was virtually pain free. By doing a simple exercise which she showed me called the cobra, I have continued to be almost pain free. I say almost because I have overdone it a few times and had my back stiffened up. But I have not had the sciatic pain. 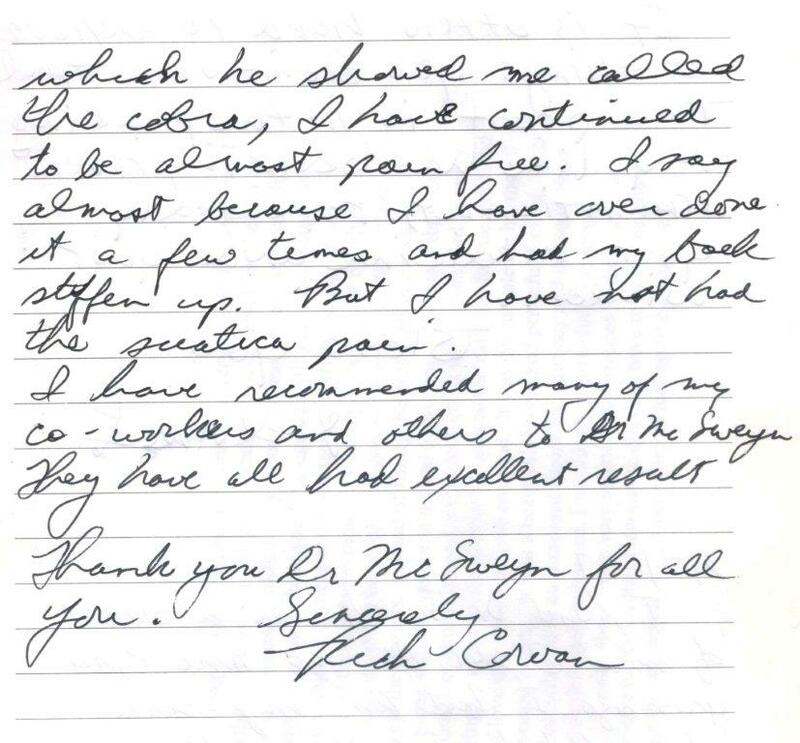 I recommended many of my coworkers and others to Dr. McSweyn. They’ve all had excellent results.